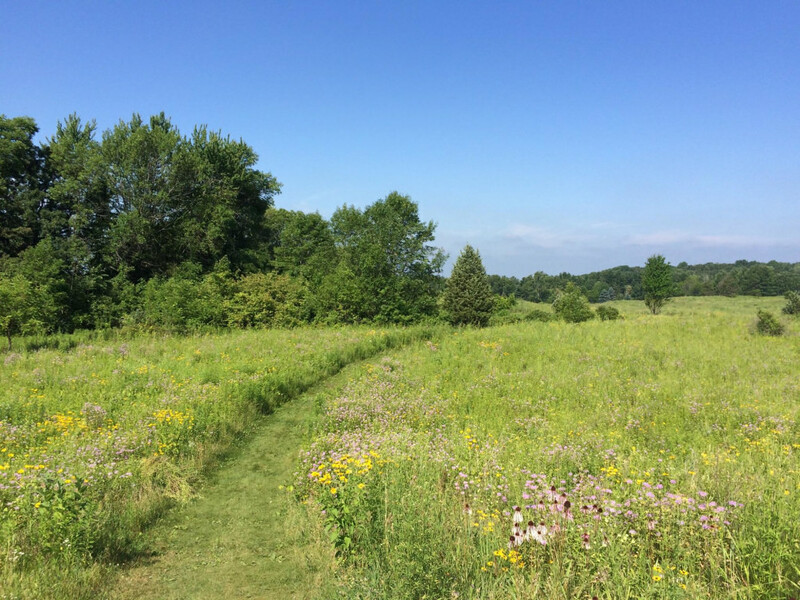 Hiking in the Midwest tends to get a bad rap—at least from those who don’t live here. Sandwiched between the Rockies to the west and the Appalachians to the east, the mostly flat Midwest is indeed dominated by the farmland you expect. But the thing is, that’s not all you’ll find. Hikers can indeed discover plenty of forests, cliffs, and prairie to explore—you just need to know where to find them. 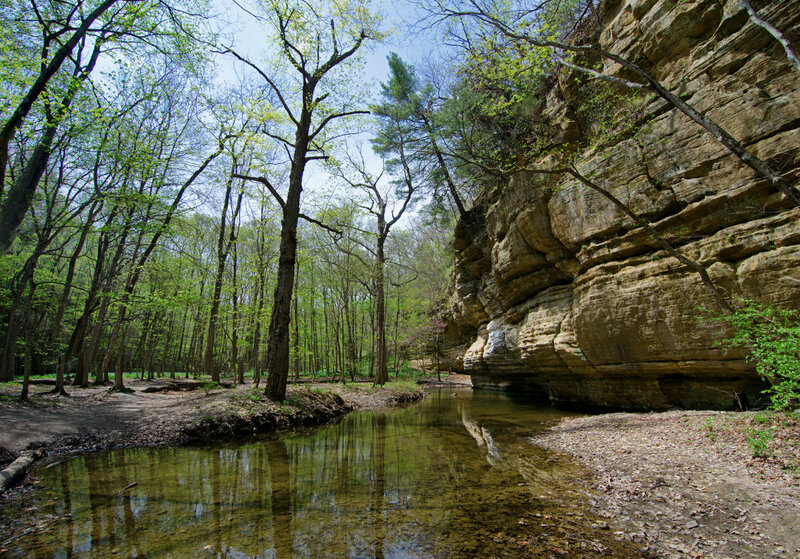 Here are nine outstanding Midwestern hikes to get you started. 1. Starved Rock State Park, Ottawa, Ill.
Less than a two-hour drive southwest of Chicago, Starved Rock State Park is a welcome treasure that seems out of place in central Illinois. There you’ll find 18 canyons that were formed by melting glaciers thousands of years ago, and the exposed sandstone formations provide some of the best hiking in the state. Climb the bluffs to get an impressive view of the Illinois River. In the spring and after heavy rains, you’ll find 14 different waterfalls throughout the state park, all within a relatively small area. Hikers will find just over a dozen miles of hiking trails to explore. The area around the signature Starved Rock lookout is always crowded (but still worth it), but the farther east you go the more likely you’ll be to find some solitude among the forested trails. 2. Shawnee State Forest, Herod, Ill. 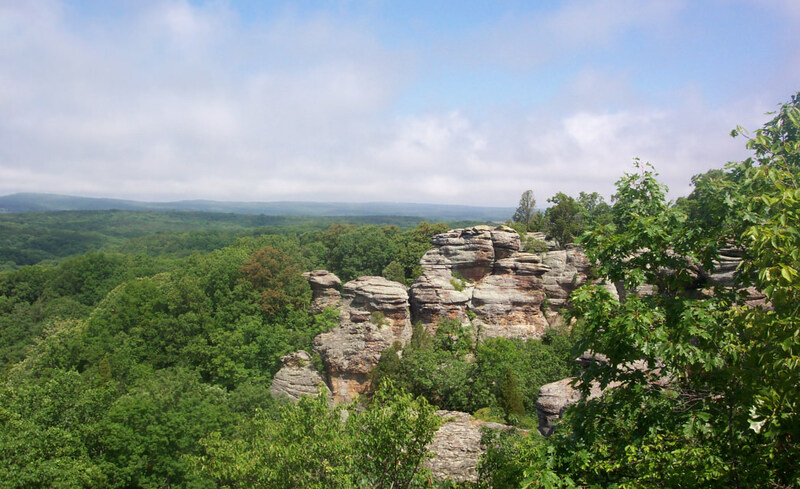 Occupying the southern tip of Illinois between the Mississippi and Ohio rivers, Shawnee National Forest is an enormous natural refuge, occupying more than 280,000 acres. Hikers will find more than 400 miles of trails to explore, but the Garden of the Gods is the one section that really stands out. Classified as an "uplifted sandstone plateau" by geologists, the area is filled with rocky bluffs and odd rock formations that offer endless hiking options. The surrounding forest is relatively new growth pines and hardwoods planted by the Civilian Conservation Corps in the 1930s. But now nearly 90 years later, you’d be hard-pressed to find a better forest canopy in the Midwest. 3. Tallgrass Prairie National Preserve, Strong City, Kan. Many Midwest hikes offer the same kinds of forests, rocks, and rivers found in many other parts of the country. Not so with the Tallgrass Prairie National Preserve. The Flint Hills region of eastern Kansas and north central Oklahoma features the largest remaining tallgrass prairie on the continent. While this ecosystem once covered more than 170 million acres, most of it was plowed over to create farmland. 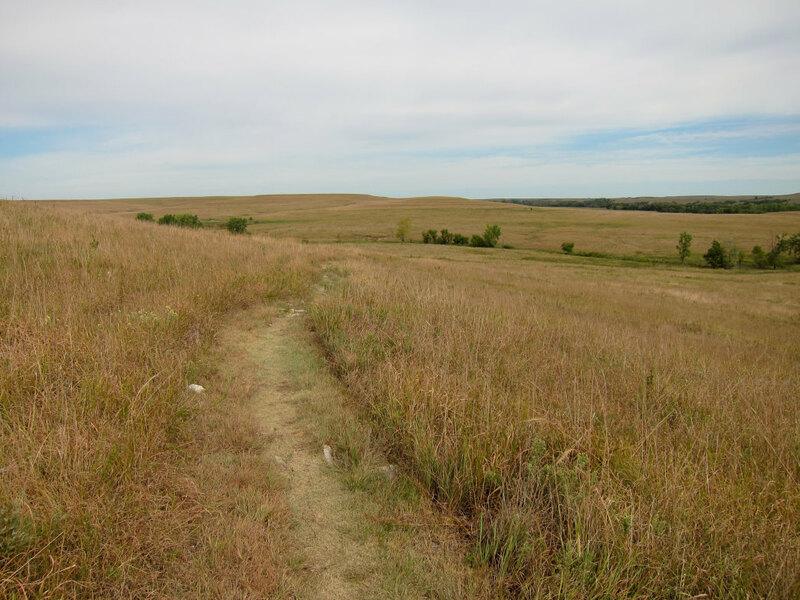 The rocky soil in the Flint Hills kept this section of the tallgrass intact for you to explore today. It’s an area unlike most any other place you’ve ever hiked, with rolling hills surrounded by treeless vistas, seasonal wildflowers, and bison herds. More than 40 miles of trail are available to help you discover what the prairie was once like before the settlers arrived. 4. Superior Hiking Trail, Silver Bay, Minn. 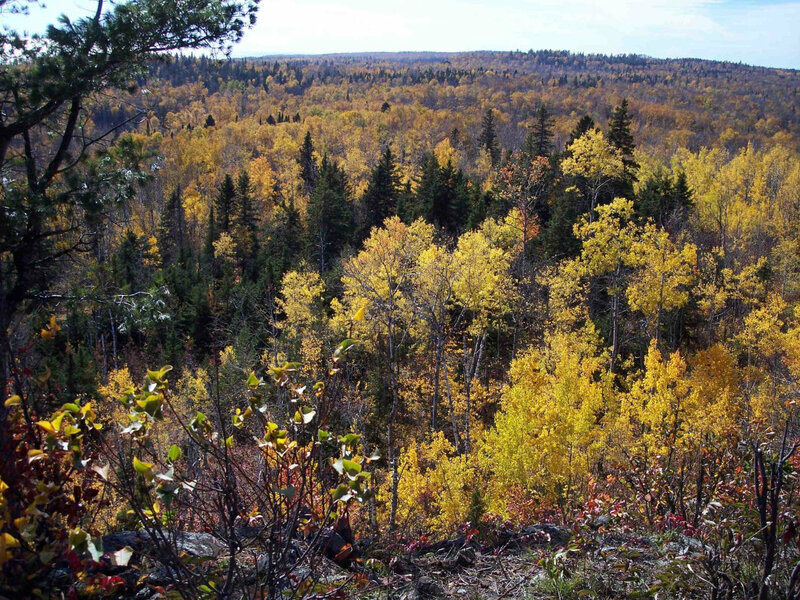 The 300-plus mile Superior Hiking Trail follows the ridgeline overlooking Lake Superior in Northern Minnesota from just south of Duluth to the Canadian border. While it has become a popular thru-hike destination, the trail is designed with many opportunities for day hikes—you’ll find trailheads every 5 to 10 miles along the entire route, and there are nearly 100 backcountry camping sites for any overnight trips. On the trail, discover just about everything this part of the country is known for— including scenic overlooks, lots of water, vast sections of birch, aspen, pine, and cedar, and a fair amount of climbing up and down the ridgeline. The section around Silver Bay is a favorite, with a great overlook of Lake Superior and a waterfall along the Baptism River. 5. Black Hills National Forest, Custer, S.D. 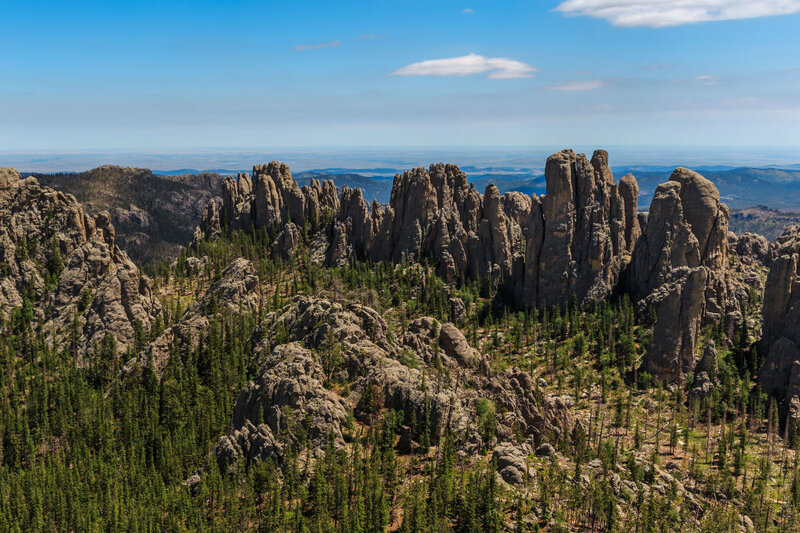 The Black Hills National Forest in western South Dakota is a massive 1.2 million acres that includes a wide variety of terrain from prairie to forest. One of the most iconic hikes is to the top of Harney Peak, the highest point east of the Rockies and the Pyrenees in Europe, which rises to 7,242 feet. You’ll obviously have to do some climbing, but the 7-mile, round-trip trek from Sylvan Lake is of moderate difficulty, and well-worth the effort when you get to the top. For those looking for more of a challenge, the northern approach is close to double the amount of elevation gain in about a 10-mile round-trip. 6. Tahquamenon Falls State Park, Paradise, Mich. 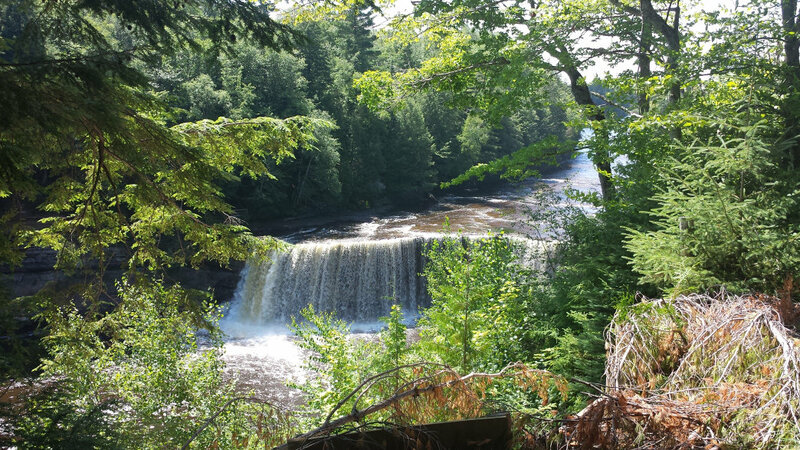 The upper peninsula of Michigan is filled with hiking opportunities with views of the Great Lakes, but the Tahquamenon Falls State Park features an excellent river hike. The upper falls of the Tahquamenon River is one of the largest waterfalls east of the Mississippi at nearly 200 feet across and 50 feet high, dropping more than 50,000 gallons a second at its peak water flow. About four miles downstream, you’ll find a series of lower falls that aren’t as big but are just as scenic. The 4.8-mile trail connecting the two makes for an excellent day hike, with lots of dense forest cover and a good chance to view wildlife, including moose. When it comes to National Parks, the Midwest lags far behind the eastern and western U.S. But the Cuyahoga Valley National Park, which was established in 2000, is a welcome edition to the national park system. 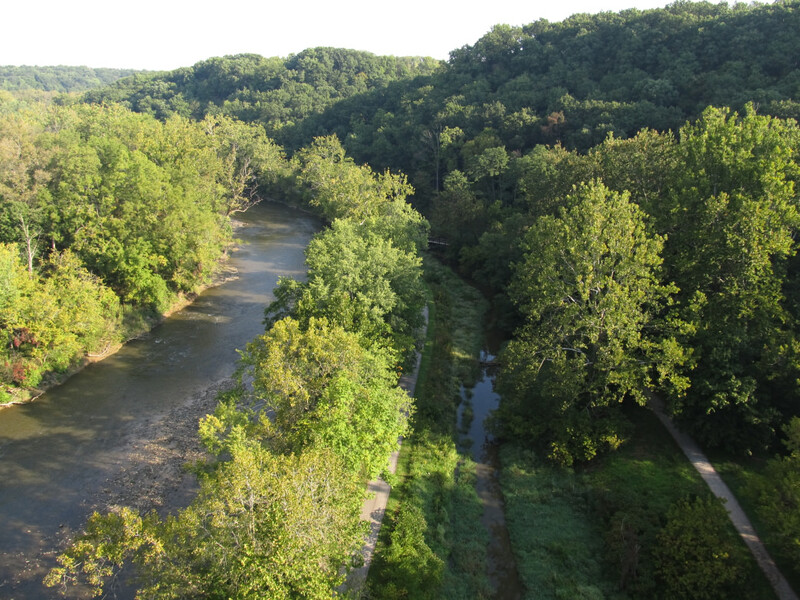 The park preserves the area around the Cuyahoga River, following the historic route of the Ohio & Erie Canal. The canal’s former 20-mile towpath is a popular hiking spot and part of the more than 125 miles of trails available to hikers in the park. The Ohio Buckeye Trail, which circles the entire state, also passes through the park, and offers a more challenging route for hikers who want to get farther off the beaten path. 8. Kettle Moraine State Forest, Eagle, Wis. The state of Wisconsin is filled with excellent hiking opportunities, particularly in the northern part of the state. But you don’t have to drive to the north woods for an escape in the dairy state. The southern unit of the Kettle Moraine State Forest is only 37 miles southwest of Milwaukee and about a two-hour drive from Chicago. You’ll find a nice mix of thick pine forests, rolling hills, and prairie among the more than 130 miles of trails to explore. You can also hop on the Ice Age Trail, which continues on for 1,200 miles through the state of Wisconsin. 9. Brown County State Park, Nashville, Ind. The largest state park in Indiana, Brown County State Park is located about an hour south of Indianapolis near the historic artist colony of Nashville, Ind. This is a very family-friendly park, with a wide variety of hiking trails, but nothing too strenuous. The longest trail is 3.5 miles long—Trail No. 8—and explores the ravines in the more remote sections of the park. It’s of moderate difficulty and features a very nice trip along the tree-covered path and around Ogle Lake. 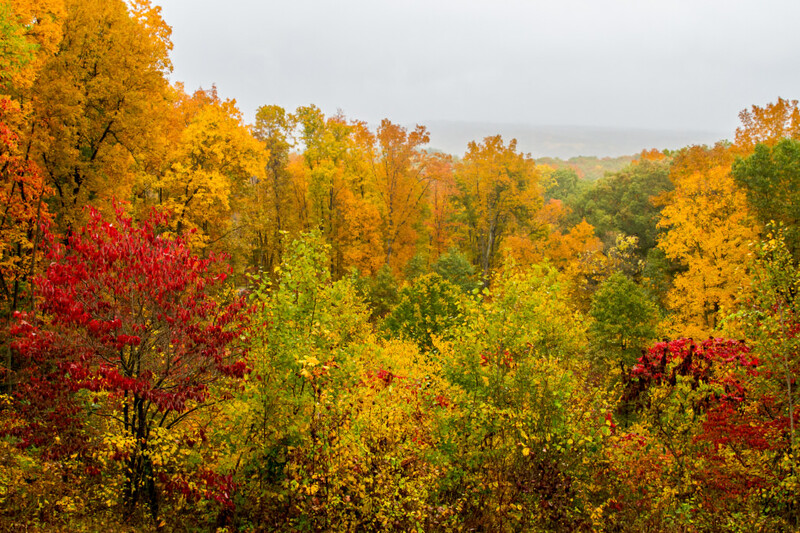 Come in the fall for some of the best leaf-peeping in the state.